Warm summer days are in full swing now and for many, it’s time to get outside and explore what the Lakes Region is best known for: its outdoors. 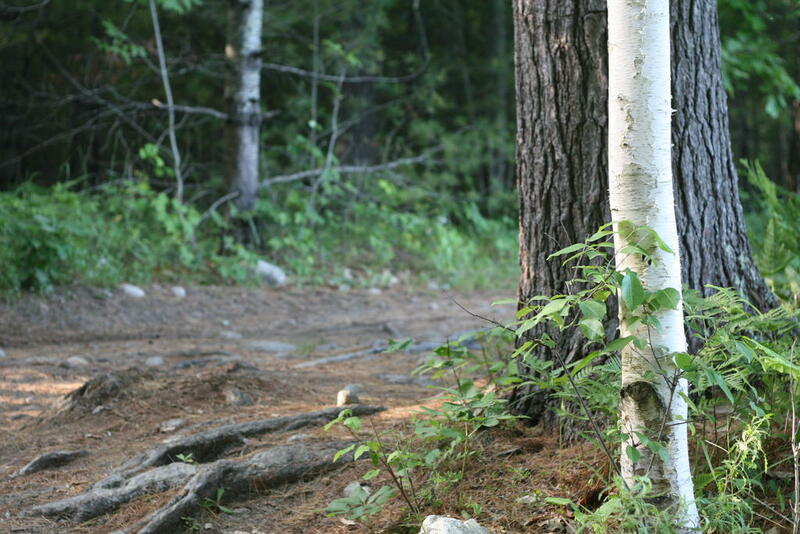 Lakes Region towns boast a number of trails for walking, hiking, biking and other outdoor ventures. Healthy Maine Partnerships has identified 17 of these parks and paths as easy and accessible walking trails. The Lakes Region Weekly took a trip down a few different trails to kick off the summer months. 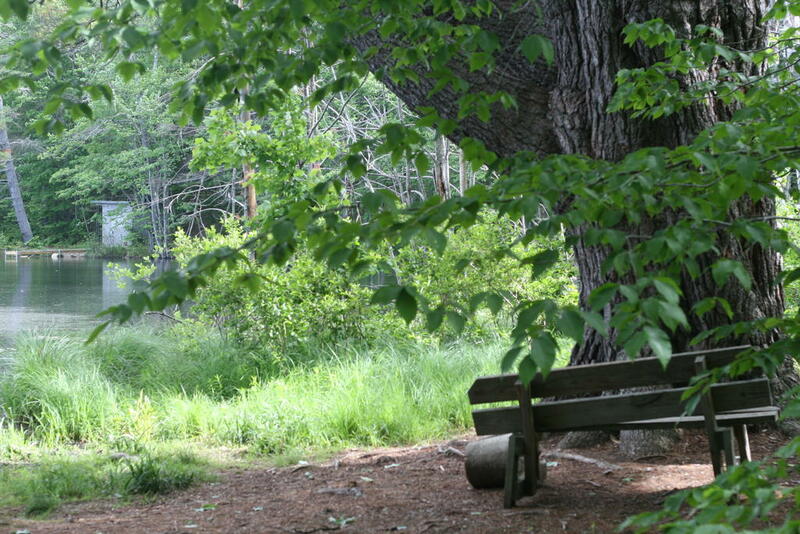 Donnabeth Lippman Park, located on Route 302 in North Windham, features a 1.5-mile loop trail around a small pond. From the trail entrance at the parking lot, the first part of the wide, gravel trail comfortably allows wheelchair access to the pond, Brooks said. As the trail loops around the pond, it strays from the water’s edge and moves farther into the woods. The trail, which is clearly marked with arrows, narrows and becomes more rooted as it goes deeper into the woods, but remains flat. Fishing and kayaking are both allowed in the pond. There is a dock for fishing near the trailhead, and visitors can rent kayaks from Sebago Trails Paddling Co., which delivers from its nearby location on Route 302. 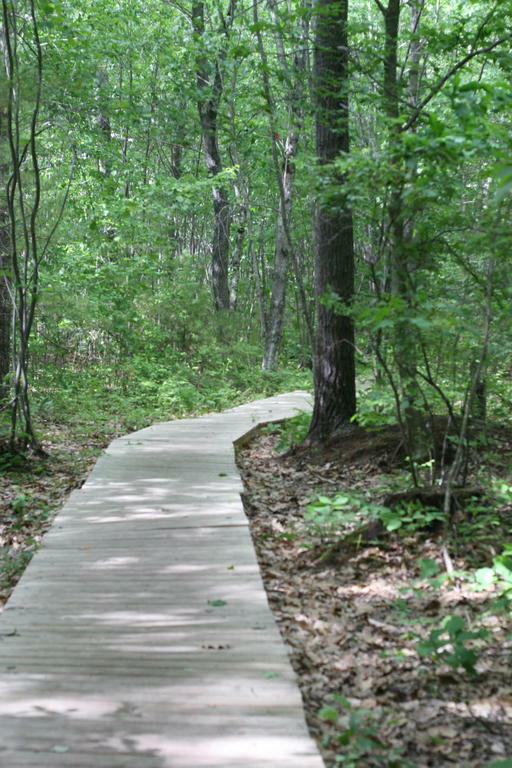 In mucky areas behind the pond, boardwalks make the trail easy to traverse. Dogs are welcome on the trail but must be on their leash. There is a portable toilet at the entrance. Pondicherry Park has three miles of wooded trails with access points at the Bridgton Community Center on Depot Street and behind Stevens Brook Elementary School. From the Bridgton Community Center, the Pondicherry loop trail starts with a boardwalk approximately 5-feet wide, and proceeds under a covered bridge that traverses Willet Brook. The flat, dirt trail follows alongside Willet Brook and is lightly shaded by tree coverage. Storybook pages are mounted on plaques scattered along the trail. For those who want to lengthen their walk, additional trails break off from the Pondicherry Loop Trail. These trails also connect to access points at South High Street and Willet Road. All breaks in the trail are clearly marked with wooden signposts. Dogs are allowed only on the designated trail. Points of interest include the historic 1882 Kneeland Spring, a man-made pool, and a large wooden amphitheatre with views onto an open field. 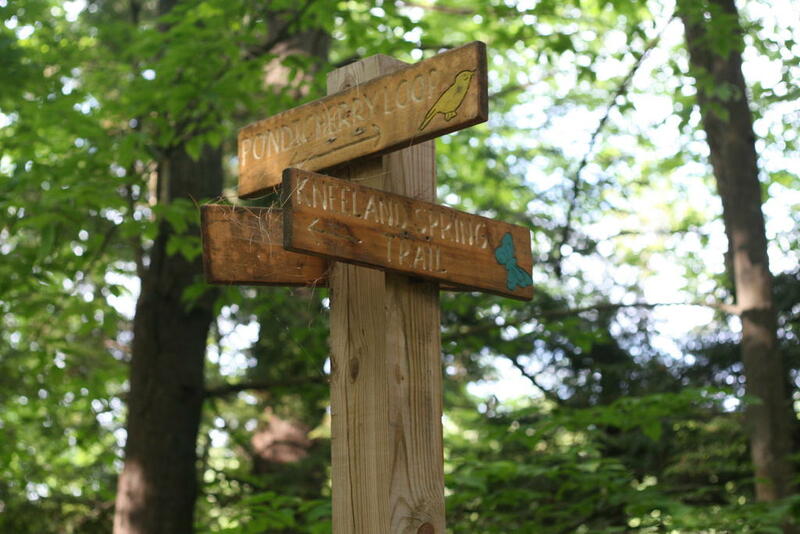 This 8-mile trail system in Gray, while not listed among Healthy Maine Partnership’s guide to walking trails, offers a few easy walking trails as well as more moderate and difficult trails. The trails are open year-round for biking and walking, as well as riding on horseback or ATV on designated trails. Dogs are allowed on all trails on-leash. The 0.6-mile Turkey Trot trail is one of the easier trails in the system. There is parking at the trailhead, which is close to both Gray-New Gloucester High School and the middle school on Libby Hill Road. The trail, accessed behind the middle school soccer field, is clearly marked with bright red blazes. The path has some rocks and roots, but remains relatively flat. The area is lightly wooded, making for an open, sunny trail. Healthy Maine Partnerships’ guide to 17 Easy Walks in the Lakes Region is available online at www.publichealthprogram.org, or at your local library or town office. Your Parks and Recreation Department may also have additional information about trails in your town. For more information on Libby Hill Forest Trails in Gray, including access to trail maps, visit their website, www.libbyhill.org. 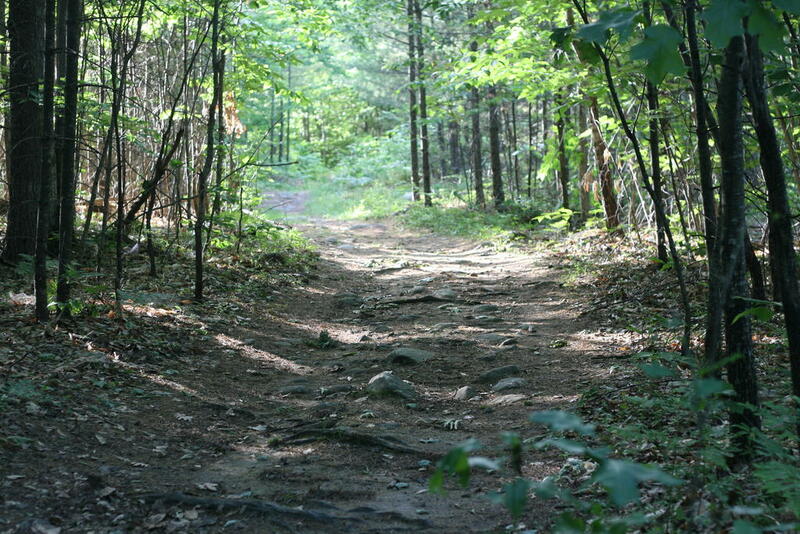 The Libby Hill Forest Trail system in Gray offers 8 miles of easy to difficult trails for walking, hiking and more. The Bob Dunning Memorial Bridge marks the entrance to Pondicherry Park from the Bridgton Community Center. Wooden signs mark the different trails in Pondicherry Park. 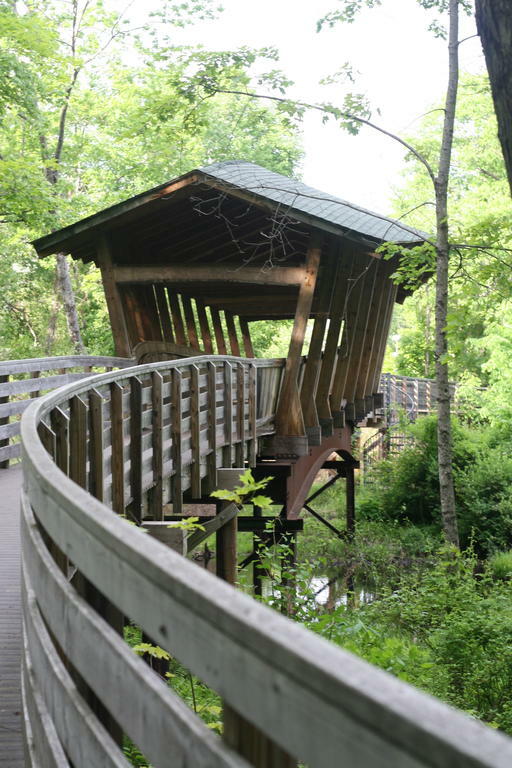 Benches along the trail in Donnabeth Lippman Park offer places for rest. A boardwalk covers a muddy portion of the trail in Donnabeth Lippman Park.